TALLER DE CERÀMICA: LA COCCIÓ DE RAKU I LES ENGALBES. SERIGRAFIA I MATÈRIA. 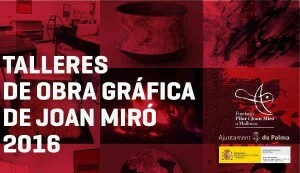 SERIGRAFIA AMB CARBORÚNDUM I ALTRES MATERIALS GRANULARS. INTERVENCIONS SOBRE L’ESTAMPA ANALÒGICA I DIGITAL.